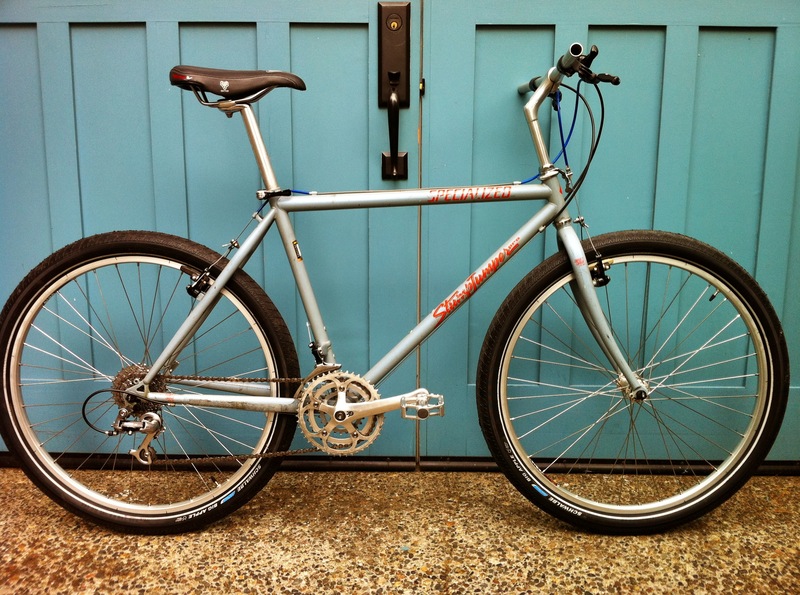 I’ve been a lifelong biking enthusiast, and have commuted and worked on my bikes for at least 20 years. I never built my own wheels, though. 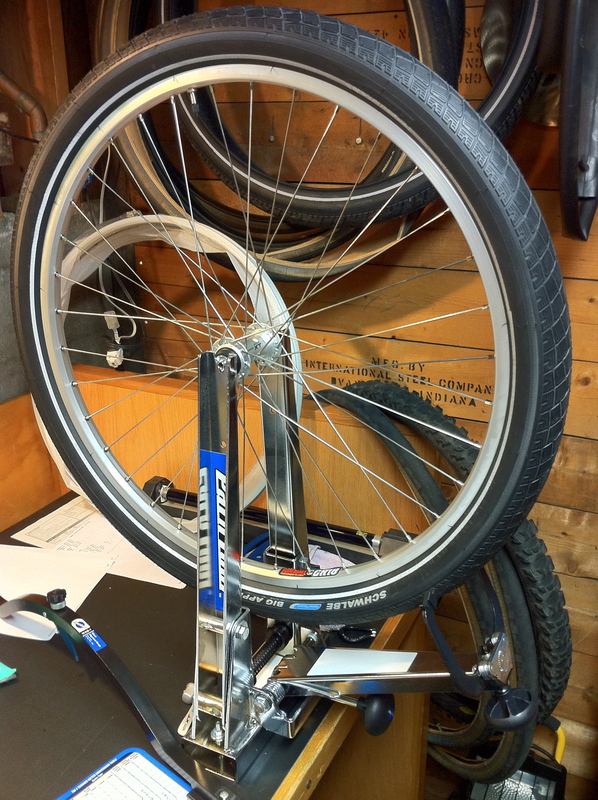 I finally got the gumption up to buy a truing stand, and give it a whirl. I picked up the basic parts (hubs, spokes, rims) from my local bike shop Free Range Cycles. 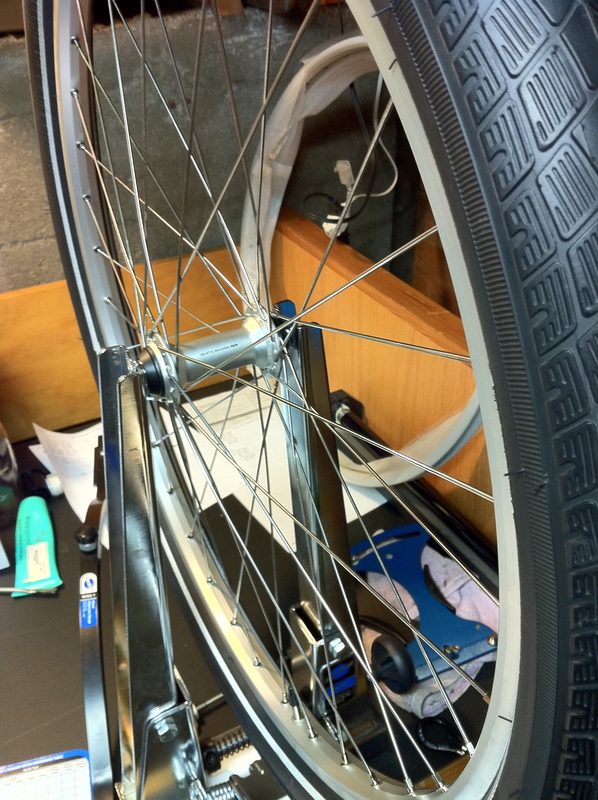 They were very helpful and sized the spokes for me. This was the part I wanted help with the first time through, at least. 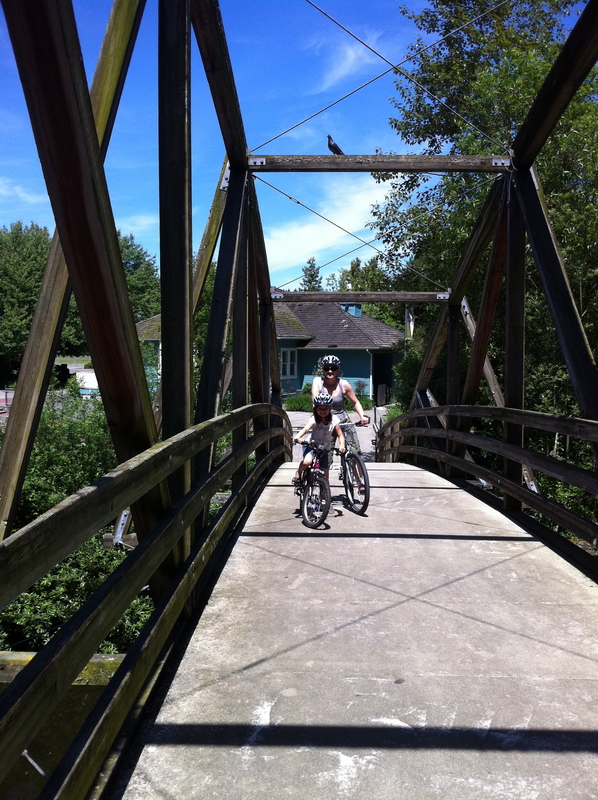 The front wheel took most of my Fathers Day – probably 3-4 hours, but I got it all laced up and true. 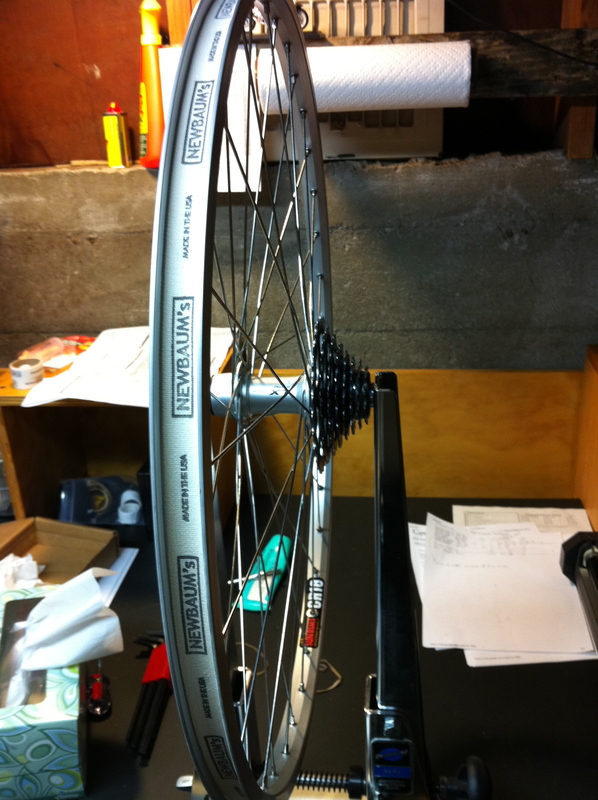 I used fairly standard XT hubs, and Sun CR18 rims. My second attempt on the rear wheel went much more quickly, and I started to learn little things that made it a lot easier the second time around. I can see that doing a bunch of these will make me a more proficient mechanic. It’s definitely an art, but it is not hard to do if you have the time and inclination. Pretty cool when you ride the end product, too!